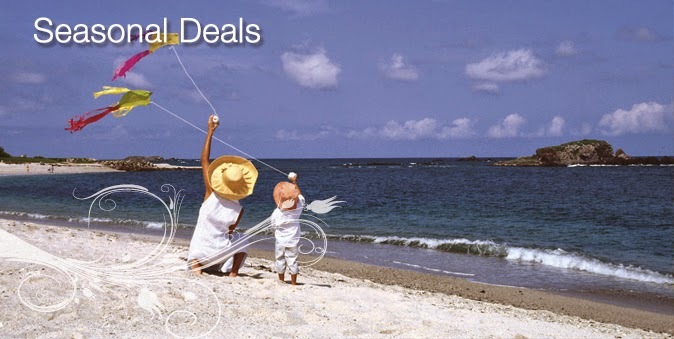 The promotional campaign with special offers for hotels in the Riviera Nayarit increased hard sales by 207% in April 2014 compared to the same time period in 2013. The marketing campaign launched on March 24th by the Riviera Nayarit Convention and Visitors Bureau titled “Spring Specials in the Riviera Nayarit” has considerably increased sales in the destination. The campaign, launched over social media (Facebook, Twitter and newsletters) and sold by the agency Price Travel, resulted in an increase of hard hotel sales of 207% in April 2014 compared to the same period the year before: $546,938 in 2014 vs. $178,353 in 2013. These promotions reached their zenith this month thanks to the Holy Week and Easter holiday as the main target was the domestic market. The campaign began on March 24th and ended June 8th. The data revealed the hits on the official Riviera Nayarit page (specifically the spring sale landing page) indicated the Spanish-language page registered 1,201 visits and the English-language page registered 292. The campaign was shared with 16,023 fans on the Spanish-language Facebook page; 7,601 fans on the English-language Facebook page; 7,786 followers on the Spanish-language Twitter page; 4,719 Twitter followers on the English-language page; 3,507 contacts in the Spanish-language newsletter database and 38,814 contacts in the English-language newsletter database. The promotion was initially launched with 10 hotels offering special discounts; however, during the process even more joined in, until a total of 18 hotels were offering specials. The participating hotels included the Belair, Hard Rock Hotel Vallarta, Riu Palace Pacifico, Riu Jalisco, Riu Vallarta, Samba Vallarta, Iberostar Playa Mita, La Tranquila Breathtaking Resort, Dreams Villamagna, Marival Resort, Marival Residences, Rancho Banderas, Grand Velas Riviera Nayarit, Villa del Palmar Flamingos, Villa La Estancia, Occidental Grand, St Regis and Villa Varadero. Some of the main objectives that were met during the campaign included increased interaction within the social media platforms, commitments from the consumer and conversions into hard sales.